There are some phenomenal opportunities out there for you to grab hold of. There are chances to make a positive difference in the world. There are people crying out for the assistance that only you can give. There are those who will guide you and support you along the way. There are risks to be taken, hurdles to be overcome, lessons to be learned. There is a purpose for your life that is waiting to be fulfilled. So don’t sit around waiting for it to land in your lap. Don’t fall for the lie that we live in a world of scarcity where opportunities are minimal. 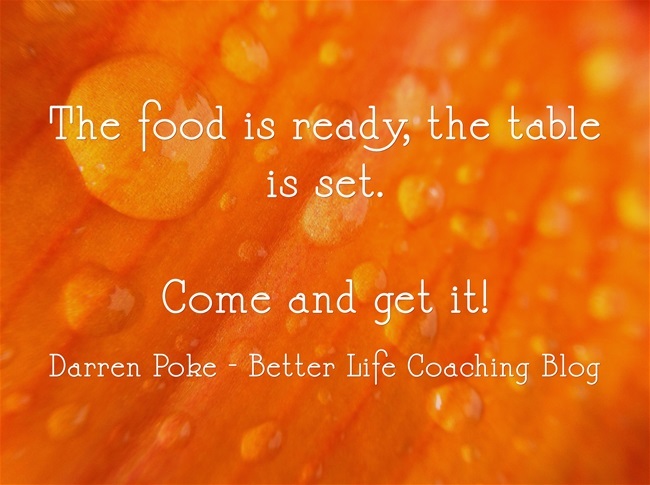 The food is ready, the table is set.